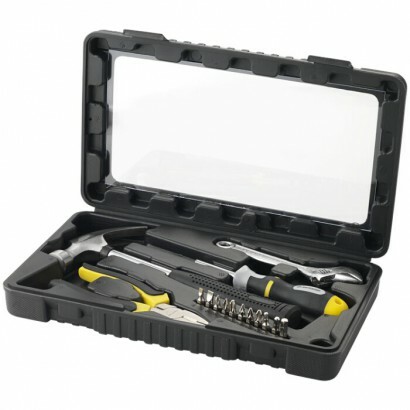 Hammer, pliers, ratchet handle, bits and spanner with storage case. Exclusive Design. 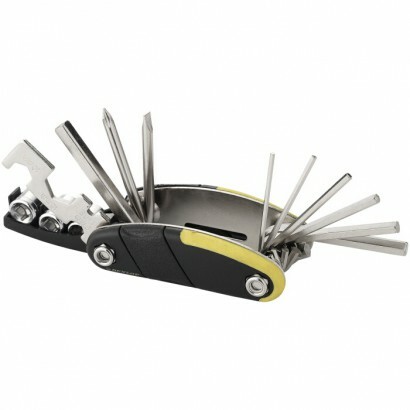 High quality rubber edged 16 function tool includes 6 hex keys, philips screw driver, screw driver, 3 spanners and 3 sockets. Packed in a Dunlop gift box. PVC free. Exclusive Design. ABS & Stainless steel. 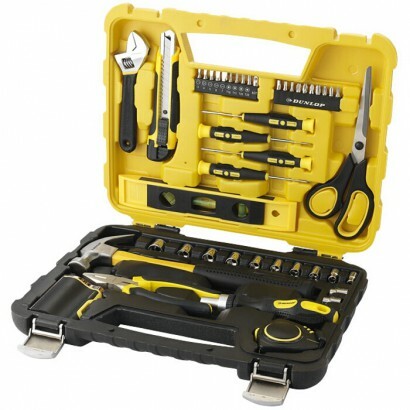 This professional Dunlop case with metal locks includes 4 pcs high quality precision screwdrivers, 3 meter measuring tape, ratchet handle with bits, 5 pcs of wrenches, universal plier, diagonal plier, hammer, 10 pcs sockets and 20 bits, 8 pcs hex keys and multiple nails and screws. Packed in a Dunlop gift box. Exclusive Design. ABS & Stainless steel. 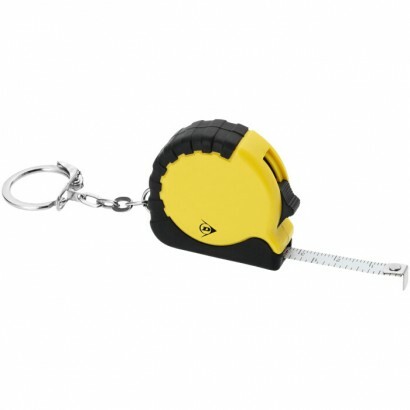 1 metre measuring tape with stop button. Packed in a Dunlop gift box. PVC free. Exclusive Design. ABS & Rubber. 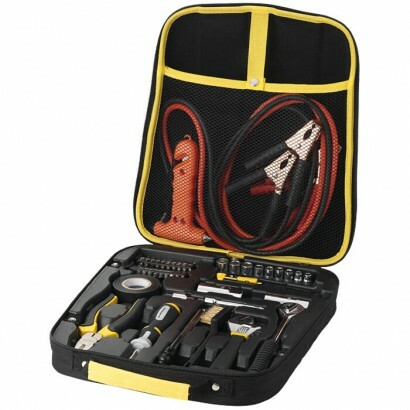 2 screwdrivers, hammer, knife, torch, manometer, tape, screwdriver handle with connector, 10 bits and 9 sockets, cutting pliers and pliers and storage pouch. Packed in a Dunlop gift box. Exclusive Design. 600D polyester. 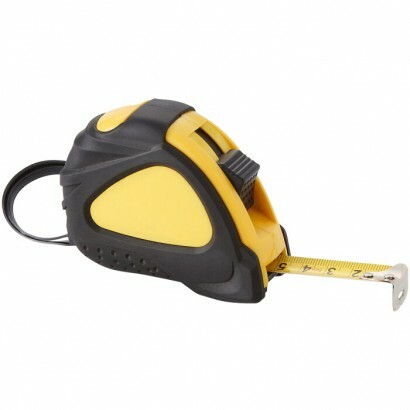 3 metre measuring tape with stop button feature for ease of use. Packed in a Dunlop gift box. Exclusive Design. ABS & Rubber. 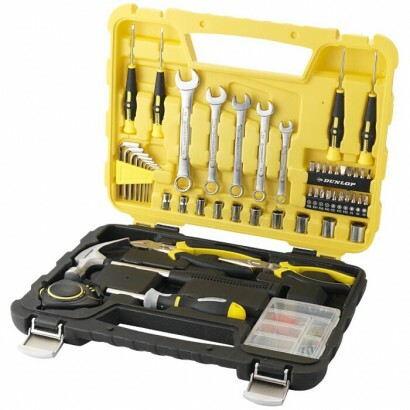 Professional set includes screwdriver, 1 pcs adaptor, 1 pcs square adaptor, ratchet handle, 11 sockets, 3 sets of bits, 34 pcs of 25mm bits. 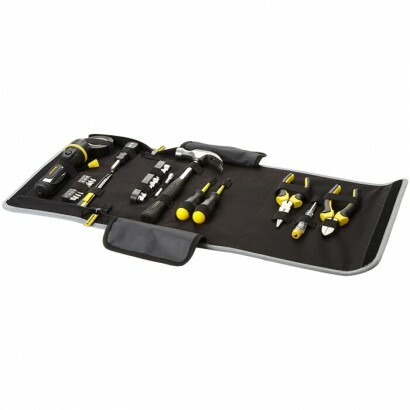 This complete set comes in a Dunlop designed case with metal locks. Packed in a Dunlop gift box. PVC free. Exclusive Design. ABS & Stainless steel. 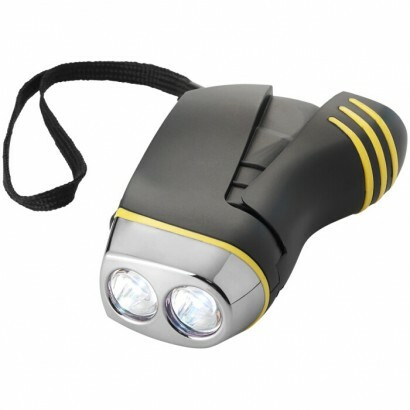 Sturdy rechargeable torch with 2 bright LED's and a fold-out handle. Packed in a Dunlop gift box. Batteries inclused. PVC free. Exclusive Design. ABS & Aluminum. 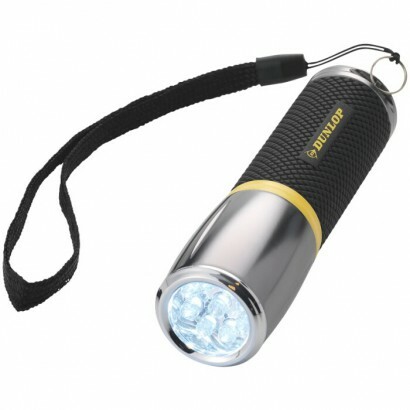 Handy bright 9 LED designed torch with rubber handle and metal head with sturdy tin gift box. Packed in a Dunlop gift box. Batteries included. PVC free. Exclusive Design. Metal & Rubber. 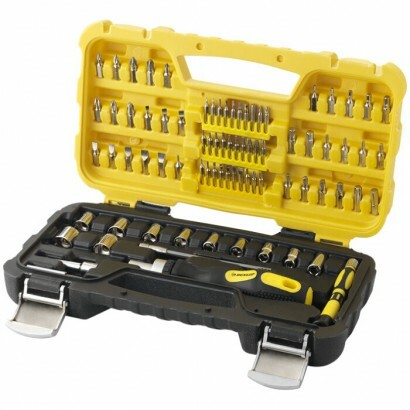 Compact 40 piece tool box. 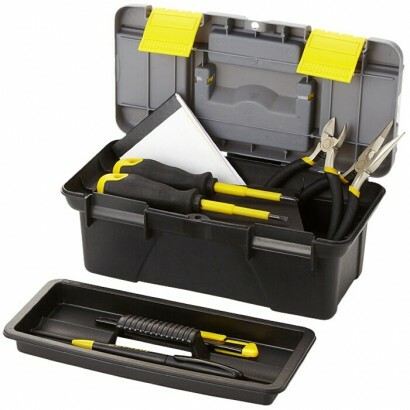 Packed in a Dunlop Gift box. Exclusive Design.